Experience for yourself the show that’s getting rave reviews! 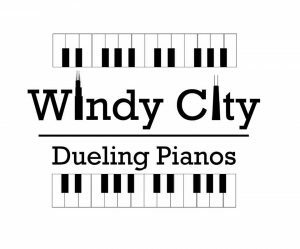 Windy City Dueling Pianos combines high-energy music played on two pianos by two highly skilled performers with hilarious, interactive comedy! When you hire Windy City Dueling Pianos, you get “THE SHOW”! Why do we get such great reviews? One word: experience. Our performers have decades of dueling pianos experience, both in nationally renowned dueling piano clubs as well as private parties, and they are guaranteed to entertain you! They also play off each other in the traditional “Classic” dueling pianos style that has made dueling pianos so popular – so it’s not just two inexperienced people playing keyboards! This is truly Dueling Pianos at its best!